Directions from regional cities to the Civic Hall Performing Arts Center. Instructions and maps for parking at the Performing Art Center. 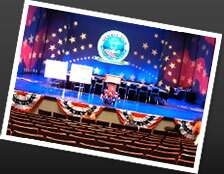 Policies for attending events at the Civic Hall Performing Arts Center. All your questions about the Civic Hall Performing Arts Center answered. Details about the many attractions, accommodations, and places to eat located in Wayne County. Links to our regional partners.